Generally, when the video game world meets the real world, the results are either corny or fanboy-focused. But Square Enix’s latest venture is a different story altogether. 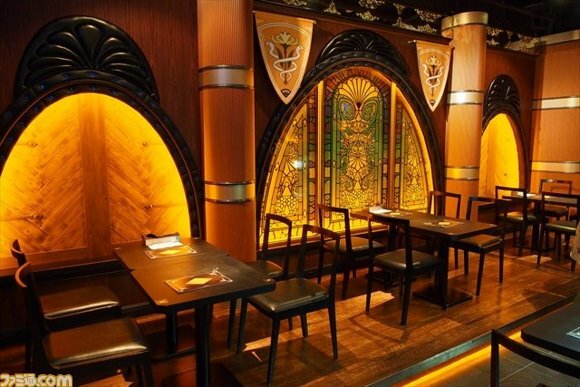 The Final Fantasy XIV-themed Eorzea Cafe, which opens tomorrow, is shaping up to be a high-class establishment that blends haute cuisine with an environment evoking the spirit of the game. A yellow light, meant to simulate the sunset in the city-state of Gridania, permeates the cafe.